In the four-plus years since Fallout: New Vegas was released, gamers have been waiting for developer Bethesda to confirm the next title in the super-popular franchise. 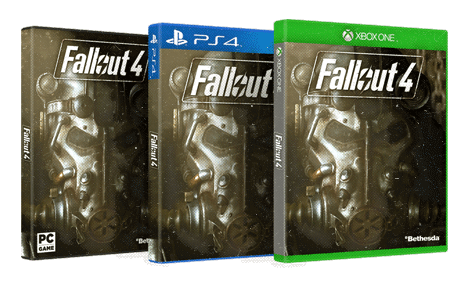 The company had us salivating when it dropped a new 24-hour counter on its website yesterday, but even before the timer has reached its conclusion, we finally have confirmation of the next instalment: it'll be called Fallout 4 and it's coming to Xbox One, PlayStation 4 and PC. Details are scarce but it appears that the game will center on the city of Boston, judging from the leaked screenshot below. Amazon, Best Buy and GameStop are also listed as official stockists, suggesting they could begin accepting pre-orders from today. We can expect more news at 10AM ET when the game's teaser site goes live, showing us the first official trailer and what we can expect to see at Bethesda's E3 showcase on June 14th. Update: And the trailer is live! Check out all 183 seconds right here.